Rock House Harbour Island - Caribbean & Co.
Rock House has been a vibrant and colorful feature of the Harbour Island landscape since the early 1940’s. 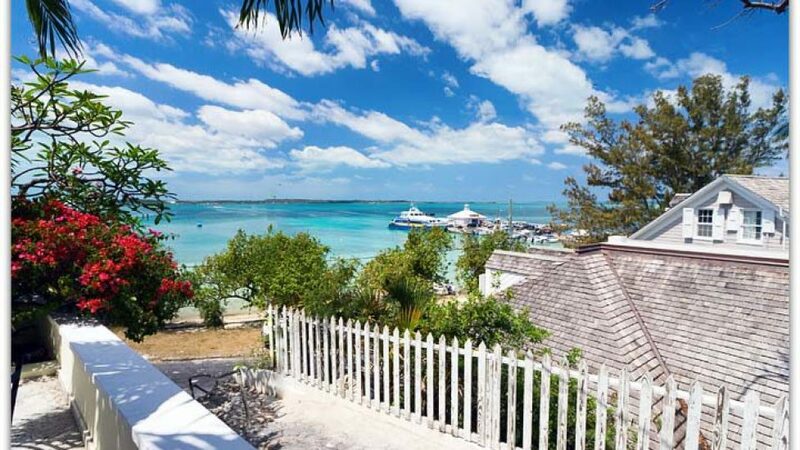 Originally a private home, then a bed and breakfast and for many years a rental property – Rock House today has evolved to become the standard for elegance, island sophistication and superior service. Redeveloped in 2002 by J. Wallace Tutt III who created Versace’s Miami mansion and Cher’s Malibu home, Rock House melds colonial and contemporary Caribbean design. Each of the 10 rooms has unique artwork and décor matching a theme (Citrus, Monkey, Parrot, Seahorse). Rooms have 400-count linens as well as picnic baskets. The bar and dining experience at Rock House warrant special and distinct mention; whether it be casual grill fare or fine dining under the stars on the pool patio, at our select Chef’s Table or on the Terrace overlooking the bay – you can be assured of the perfect cocktail, a superb wine list and delectable menu choices, all served by an attentive yet unobtrusive staff. Your hosts Don and Eric are always on hand to add that special personal touch and the Rock House staff, with their warmth and charm will make you want to return again and again.